1. Topshop and Topman hosted a dinner celebrating the opening of the 5th Avenue New York City Flagship store last night, and NBD, but Beyonce (who is currently working on a collaboration with Topshop) was there. And Cara Delevingne, and Ciara, and Hailee Steinfeld, and Naomi Campbell... andso many more. 2. In yet another "confirmed without actually being confirmed" moment, US Weekly is reporting this morning that Jessica Biel is indeed pregnant with her first child - according to their exclusive multiple sources. 3. The Duchess of Cambridge, who stepped out a few times last week, has had a bit of a style refresh lately and the fashion crowd is loving it. News broke this week that while Kate's opinions are always final, it looks like she has a new stylist helping her out! 4. 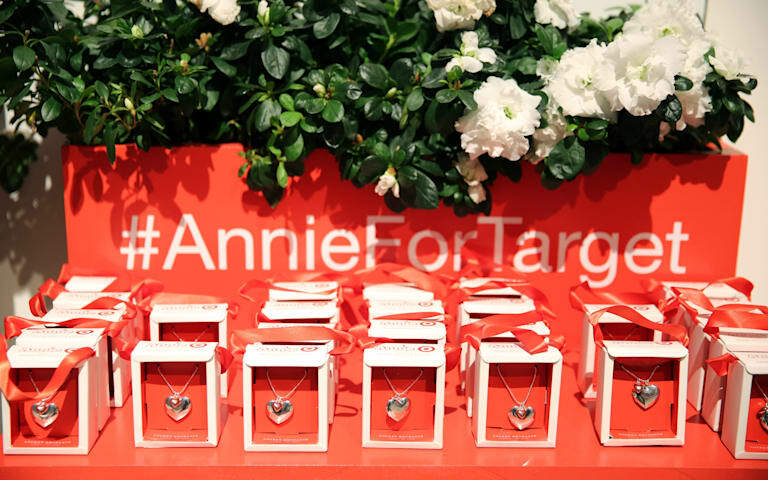 Annie for Target celebrated its launch with an event in New York City last night! Coming soon to stores, you can now "take home a piece of the 'Annie' movie magic" on November 16th. Get a sneak peek here! 7. Do you frequent Target stores? Um, yeah, so do we. Here are 8 secrets about shopping at everyone's favorite bullseye that will blowyourmind. 8. Jessica Chastain had yet another stellar moment on the red carpet to promote her new film (see what we did there?) wearing a black high neckline Prada gown to the Interstellar New York premiere. 9. One of our absolute, can't-live-without fall staples would have to be a plaid shirt. Don't you agree?